Over 23,000 Zoomers in attendance. Get face to face with over 23,000 engaged Zoomers. 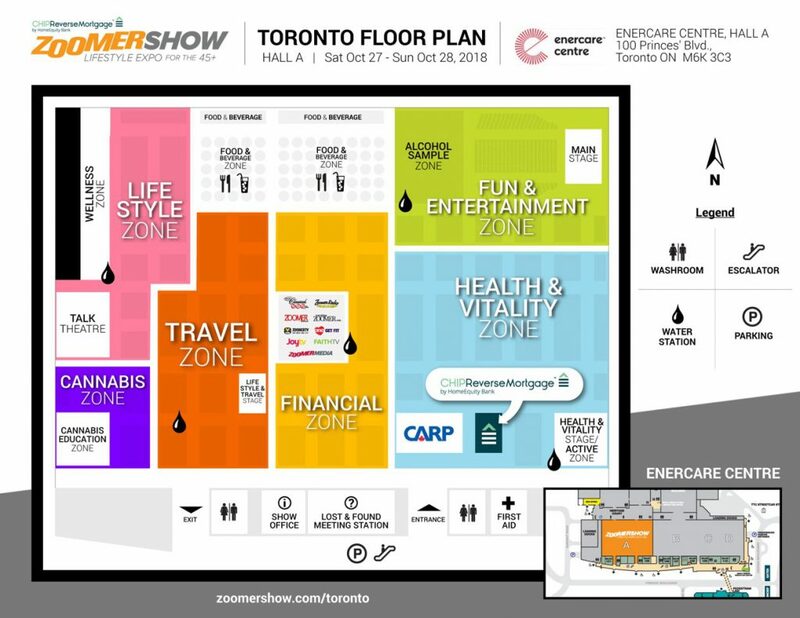 With an 11 year history of successful shows, ZoomerShow is the place to be for brands and companies looking to reach the demographic that represents nearly 45% of Canadians! From basic exhibit space to highly customized activations and on-stage experiences, the ZoomerShow team will work with you to develop solutions that meet your needs while authentically engaging attendees. Ensure your space is attractive & inviting, keep it clean and uncluttered. Make the best use of the space that you do have, brand it and theme it, signage also helps here. Your product or service should be obvious. Staff in uniform is always more attractive as it shows branding as well as creates a feeling of trust. Swag and brochures or handouts should be branded and have obvious contact information. Attract attention to your space by using motion, demonstrations and lights. Take advantage of this time to engage with your customer and get to know them. Collect information with permission to contact them for future business. I am interested in Exhibiting, so how do I learn more?